Recap: As the phenomenon continues, Aoki and Yui come to terms with their past emotions in order to move on to the future. Will Inaba never give me a screen that I can’t exploit for hilarity? 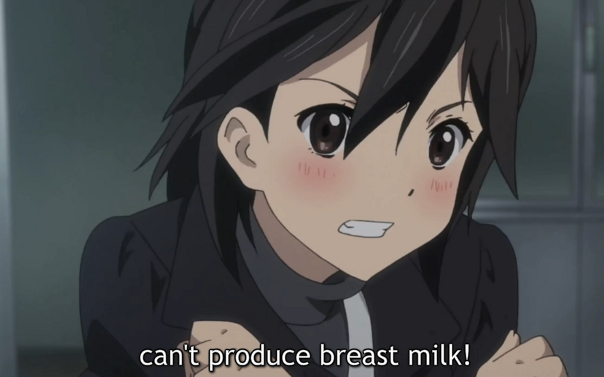 Inaba and the gang are in a huge bind after they need milk, only to realize our fair heroines lack the ability! The rest of the episode is a grand quest for the elusive mixture. Crossovers with Qwaser appear as the gang get desperate for one more score. On stuff that actually happened, I’m glad Yui and Aoki got some well-deserved character development this episode. After the end of the last arc focused so heavily on the Iori Taichi Inaban triangle it’s nice to see our not-couple get some love too. I think I’ve talked to death about how Yui has always been dodging her problems instead of facing on, but this episode really nails that point home. It’s true that what happened to Yui is horrible, and that it is easy to see why she runs away from her problems the way she does. However, without facing her fears she’ll never be able to grow as a person. She can’t let what happened rule her life or she would never be happy. After my worrying last episode, all fears have been assuaged about Aoki. I loved how quickly he was able to take command of his problems and decide on the best course of action to correct them. It speaks to the character I saw in him that he can make such quick decisions. It certainly is an interesting lifestyle choice he’s made, but it’s one I hear often. The entire “you only live once” kind of ideal definitely has its pros and cons. While one tries to make the most out of life, they can sometimes focus too much on temporary happiness so that it sacrifices or neglects long-term happiness. I wouldn’t personally advocate it since the average person isn’t going to be in a fatal car accident tomorrow, but I can understand its perspective. While Yui and Aoki are the obvious focus, I did love the little scene between Inaba and Iori at the diner. You can tell this whole “fair fight for Taichi” is quickly turning bitter as both struggle to get their feelings accepted. I never bought the idea that the two could fight over a man civilly, and their fight is just the tip of the iceburg. Aoki is kinda a jerk though. I can get why seeing Nana again would help him realize his feelings, but he doesn’t have to spill it to the girl after he affirms it. What does that really do for the both of them other than confirm what was already established? 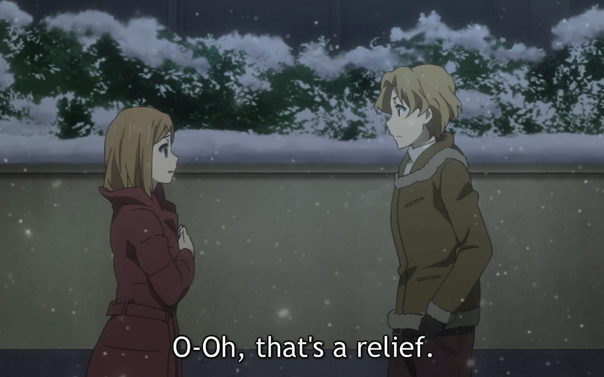 It was still a nice scene and it was great to hear him back in form as he confessed his love for Yui once again. 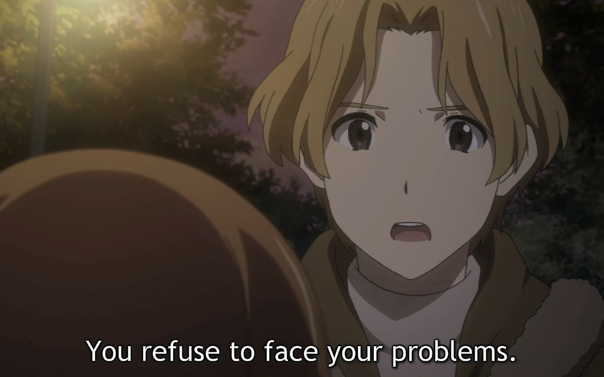 Yui’s deathgrip to overcome her fears was also really cute, showing her conviction to finally stop feeling sorry for herself and rise above her problems. We can’t have much of a show without conflict, though, and Taichi fucks up royally this time. While it was a given that the honest dope would stand a snowball’s chance in hell of keeping this secret, his inability at downplaying his words is really bad. At least have the backbone to lie to the girl a little, man! Everyone’s normalcy is at stake! It looks like we might get a double-dose of Heartseed next week as well, all too ready to toy with the emotions of fragile Iori. 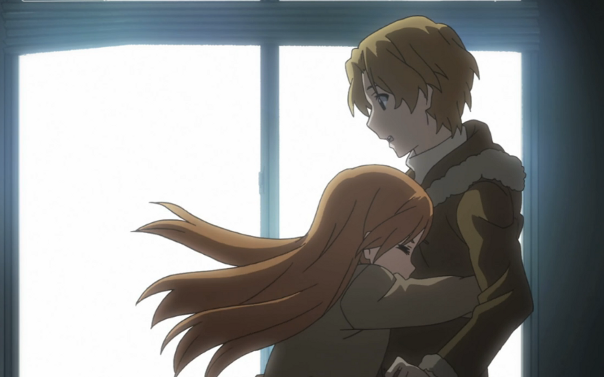 While the next episode is still showing up on Crunchyroll’s site, Kokoro Connect’s absense from its continuing simulcast list is very troubling. With information all too lacking, it looks like we’ll just have to wait and see how the future of Kokoro’s release schedule plays out.